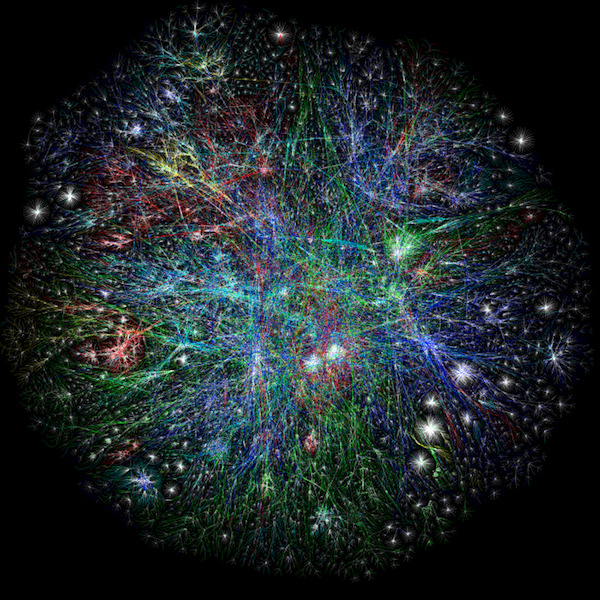 The web is comprised of an estimated 14 billion web pages and 1 trillion web documents. Hungarian physicist Albert-Laszlo Barabasi says, like six degrees of Kevin Bacon, most web pages are separated by 19 clicks or less. If you’re a visual person, that concept is a little hard to wrap your head around. Luckily, The Opte Project has been creating visualizations of the web since 2003. Although the most recent web map is a few years old, its founder Barrett Lyon is working on an updated image to demonstrate Barabasi’s report.